Did you know that there are over 800,000 franchise locations in the United States alone? If you can think of a product or service, there’s probably a franchise for it. Hotels, haircuts, supplements and sandwiches — in every region and every industry, opportunities for successful franchises are growing. But as these opportunities grow, so does the list of challenges facing franchise marketers and franchisees. Statisticians quarrel over exact numbers, but claim that somewhere between 61% and 95% of franchise locations remain open after one year. While those might seem like high success rates, they mean as many as 312,000 franchise locations in the U.S. alone might not celebrate their 1st birthday. Why do so many eager and dedicated franchisees fail? 1. “Ground floor” opportunities may lack support. Trusted brands like Krispy Kreme or Subway offer the majority of opportunities for successful franchises, but newer companies woo franchisees with the dream of investing in the “next big thing.” Without the support of experienced management and proper franchise brand management, these new owners may feel like shipmates without a captain, so their profits suffer as a result. 2. Buyers act like CEOs instead of franchisees. 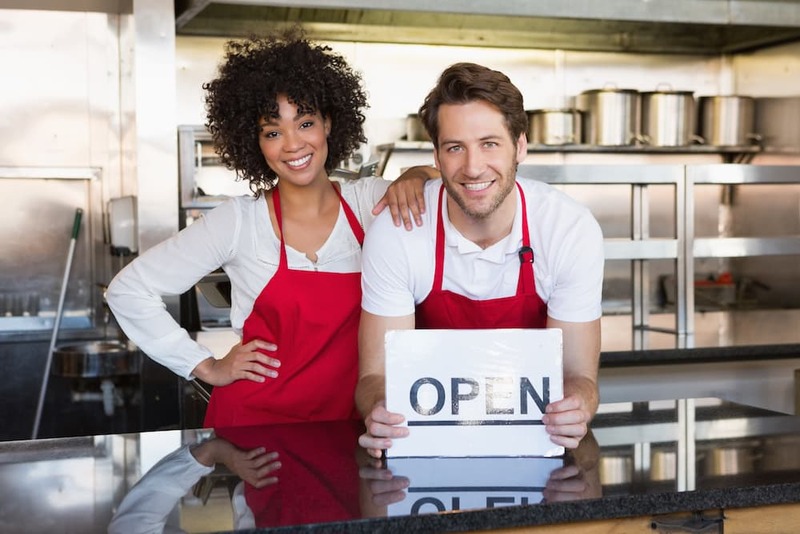 An owner of a successful franchise may feel like their own boss, therefore they may forget things like franchise brand compliance and accountability. Franchisees who act like rogue agents don’t just hurt their own profits — they can damage an entire brand in the process. 3. Open communication isn’t a priority. CEOs, marketing executives and regional managers all shoulder a lot of responsibility. Communicating with franchisees is the most important responsibility, but it’s often the most neglected. This causes projects like advertising new products to stall, or worse, to be executed incorrectly. 4. Brands don’t evolve to meet local needs. While brand compliance is crucial, marketing needs to be flexible to meet the needs of customers in different regions. Franchisees on the front lines are often best suited to gauge these needs. However, they can’t meet them without customizable tools and a supportive corporate team. 5. Poor marketing hurts opportunities. With the right guidance, even someone with no experience in marketing can successfully promote successful franchises. But with the wrong tools, inadequate training and a shaky understanding of brand values, a single franchisee can sink an entire fleet of previously successful franchises. Over 300 major companies offer franchise opportunities in the U.S. alone, and each is vulnerable to these “franchise killers.” The larger the corporation and its network of franchisees, the more challenges it faces with branding, marketing and advertising. How do franchisors enable and motivate franchisees to promote their businesses without hurting their brand image in the process? The answer lies in three words: digital asset management. What is Digital Asset Management or DAM? The bigger and more successful the franchise, the bigger the collection of files, and the harder organizing, using and distributing them becomes. Time is money, therefore every minute a franchisee wastes searching through folders for a specific graphic or handout is a minute they could be spending making money for their corporation — and themselves. Now multiply that lost time by the number of franchised locations. It’s a big problem, but the most profitable franchise corporations have found a solution. 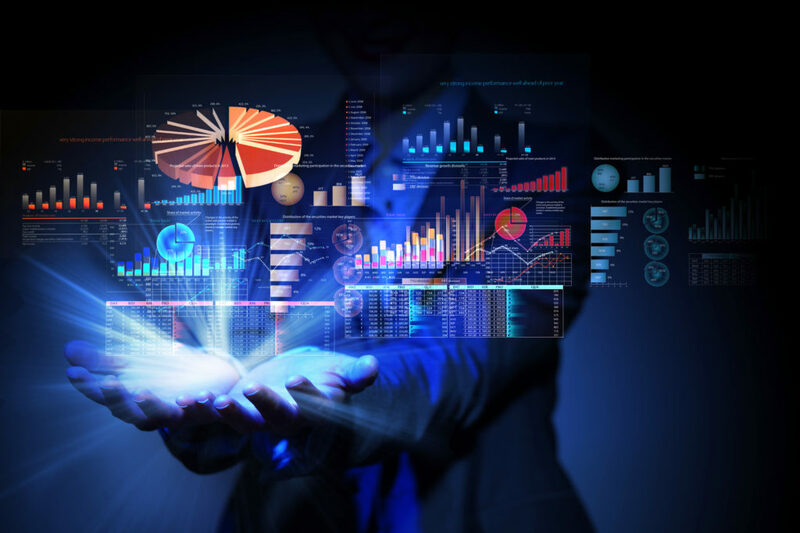 How do successful franchises manage digital assets? Benjamin Franklin once said, “For every minute spent organizing, an hour is earned.” True — but imagine how much time companies and franchisees save when the organization is already done FOR them. That’s where a digital asset management system comes in. Easily create local marketing materials that are brand compliant. Access thousands of files from a protected server. Maintain current assets while easily removing outdated creative. View, edit and share assets based on customizable permission levels. Organize marketing assets so they are always easy to find. Create and share their own lightboxes with other employees. Download files in a variety of accessible formats. The McDonald’s brand is worth $39.1 billion according to Forbes. Subway’s brand is worth $7.1 billion and Krispy Kreme is worth over $1.35 billion. These are just a few of the most profitable franchise businesses, but the picture they paint is a clear one — when companies create successful franchises, big money can be made. When they do, their profits grow — but consequently so do their needs. Here are a few reasons a solid DAM system can help meet those needs. You don’t need a degree to use a DAM system. 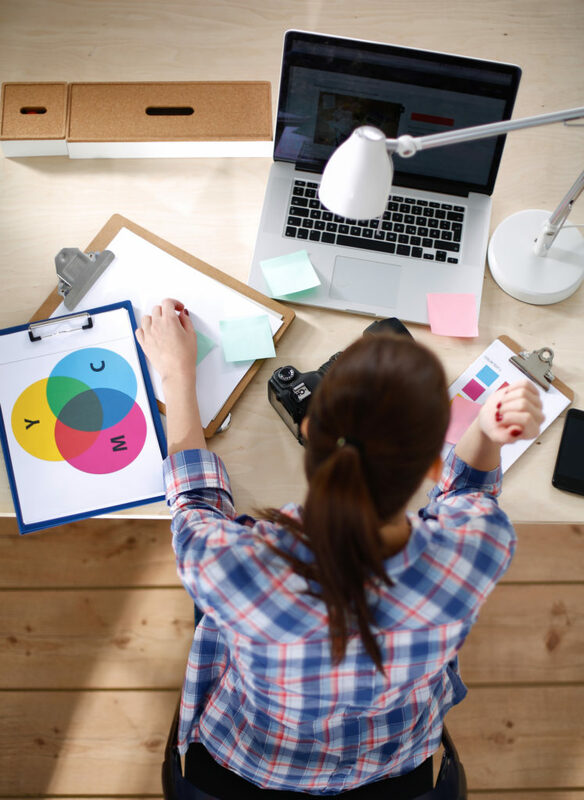 Franchisees come from all different backgrounds, and even those with MBAs and years of experience running businesses might not be skilled in graphic design. 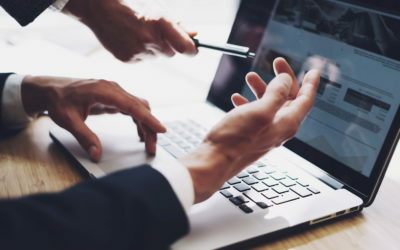 Luckily, digital asset management systems can make viewing, managing and editing files MUCH easier, without requiring a specified degree, certification or months of training. Special permissions welcome users at all levels. 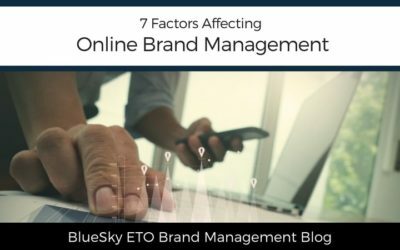 Franchisors can set different levels of permission for different users using BlueSky ETO’s DAM system. So that means that the design team at corporate HQ and Reggie who just bought a franchise location in Tulsa last week can both use the same system — yet their permissions will be different. This also means that users who change departments or earn promotions within the company won’t have to learn a brand new system each time their title changes. Successful franchises view an expert DAM system as an investment. When a franchisor invests in a system that puts power in the hands of his franchisees, he’s showing those owners that he views them as an integral part of his company’s success. Therefore, respect and trust flow both ways — and when that happens, everyone wins. When a franchise grows, the DAM system grows with it. DAM systems are a great fix since they don’t rely on outdated filing or storage of thousands of files on a single PC. Their cloud-storage, secure server and highly-customizable nature allow them to evolve with businesses. There’s nothing worse than a growing business being held back by outdated, ineffective systems. Expert DAM software is the solution. DAM systems empower through integration. Quality DAM systems are fully-integrated tools that empower local marketers. The brand’s images and marketing assets link to powerful marketing templates that let franchisees create a multitude of creative assets in a few easy clicks. So by integrating their DAM into the network, local marketers can create direct mail, email, point of sale displays, and social media posts. Most of all, they can accomplish this while maintaining brand consistency. Imagine a franchisee wants to make a holiday ad for her local newspaper. In the past, she would have had to hire a designer. She’d need to find the correct brand-approved images, create the ad, send it to corporate, make edits, resend the file and wait days or even weeks for approval. The process could take so long, in fact, that she probably missed the editorial deadline. With a DAM system, she has access to ad templates, approved logos and images, and even best-practices documents that can help. The wait is over! What used to take weeks takes under an hour — and that time saved is money earned! Targeting is easy with DAM systems. A fast food franchisee wants to offer free coffee to moms on Mother’s Day. They decide to place an ad on their location’s Facebook page to promote the offer. Since they have an easy-to-use digital asset management system, they have help! By applying filters for gender and searching with keywords, they quickly find a photo of a smiling mom that works perfectly. BlueSky ETO’s digital asset management system doesn’t just store your marketing collateral — it organizes them with helpful filters for photo style, image type, geographics, or gender of the people pictured. Therefore, less time is wasted searching through folders and files and more time is dedicated to putting those assets to work! So when should you start implementing a digital asset management system? The sooner the better. A franchise business with effective digital asset management can save time, empower franchisees and boost profits. So why not start now? As brands get more complex, there is additional work needed to implement a digital asset management system and more effort needed to unlearn bad marketing habits. 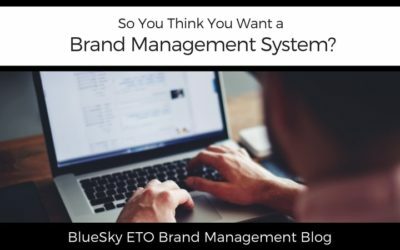 Tell us about your company, your industry and your needs and we’ll show you exactly how BlueSky ETO digital asset management can help. 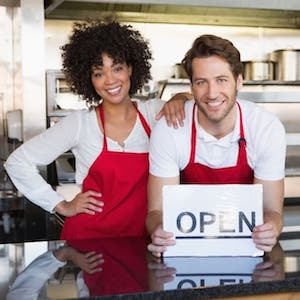 Hope to add your business’s name to the list of successful franchises? Want to make sure your DAM system works for you, not against you? Create a winning digital asset management strategy by following these 7 steps to success! Discover the 7 Steps to Success. As many as 312,000 franchise locations in the U.S. alone might not celebrate their 1st birthday. Is DAM the secret to successful franchises? Digital Asset Management is something new for me..It’s a great idea for promotions as everything is going Digital. Great that you pointed out the difficulty in communicating with franchisees. The struggle is both with the brand and the franchisees. Often it has to deal with the challenges as well of the franchisees, if they are digitally savvy. If they are then it would be a good investment to put a digital asset management in place. Not having the right tools can really hurt a franchise, and marketing is essential. Thanks for highlighting this. I think a lot of them are always looking to make a sale and not drive a connection with the buyer. In today’s marketplace with massive amounts of data being moved back and forth, having a hold on our digital assets is crucial. All business sizes ought to make this a priority. I have never really thought about the logistics of managing and branding a franchise. To me I thought that it would be set up for you, but it looks like having this mentality is one reason that it can fail. I will keep this in mind because I have been thinking of getting a franchise of a business where I live. I’ve heard how being a franchisee can be tough, I think same goes for anyone who is just starting their business. A DAM system sounds fantastic to make it a success. Key is about consolidating all assets to help you yo be as efficient and organized as possible. Perfect advice. Damage systems are absolutely necessary as explained in the post. Didn’t have any idea about such an important aspect.. Managing digital assets should definitely be a priority for business nowadays. I basically live in the online world anymore.